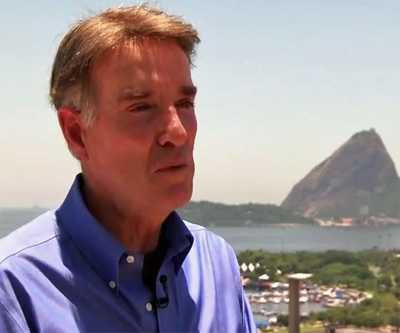 Bloomberg in a rather breathless piece titled 'Batista Loses $15 Billion As Brazil Awakes From Dream' tracks the dwindling fortune of Eike Batista, the world of mining's richest person. On Thursday Batista was down to his last $20.7 billion as the six public companies he controls – involved in a range of activities including oil exploration, sports management and shipbuilding – are rerated along with the rest of Brazil's stock market. Batisita started the year as the world's seventh richest person and his wealth peaked in March shy of $35 billion according to Bloomberg's calculations, but he has now dropped out of the the top 20. Bloomberg reports that Batista's "resolve remains unshaken" and that his holding company EBX has not cut back on its ambitious $15.7 billion expansion plans. The Minas-Rio iron-ore project — now Anglo American’s largest — has also failed to meet expectations. Beset by legal challenges and ballooning costs, the project is slated to come online in 2013, after having initially been projected to start by 2010. The geologist, now developing rare-earth deposits in northeast Brazil, is suing Batista for allegedly failing to make agreed investments in their joint venture. “The guy is a bubble,” Cavalcanti said. EBX declined to comment on Cavalcanti’s allegations. MMX said its chances of losing the lawsuit are “probable,” according to a regulatory filing detailing legal liabilities.